Gianni's Chef de Cuisine Costantino Veglianti was born and raised in Lazio province near Rome, Italy. 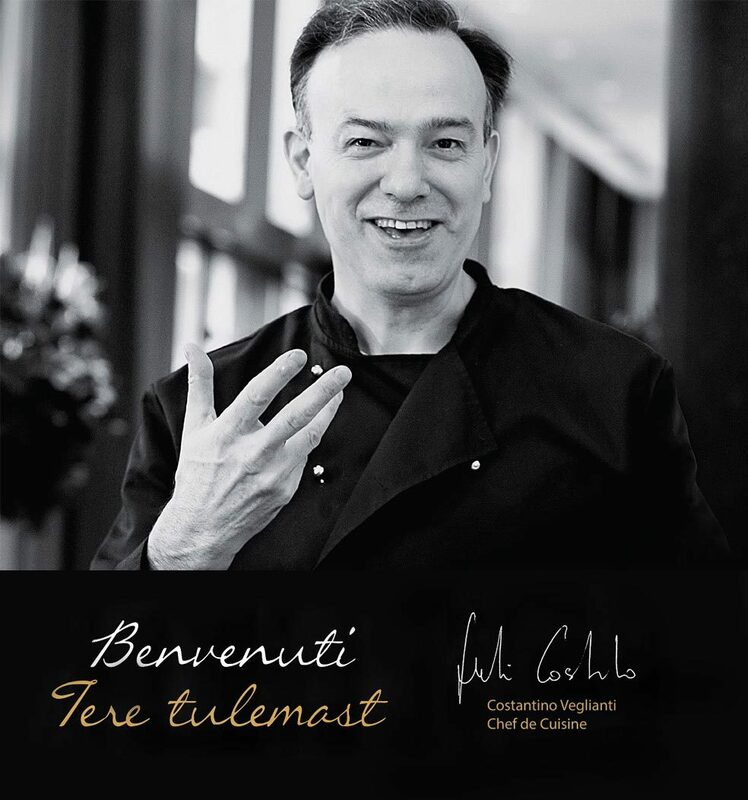 He has been polishing his cooking skills in restaurants in United Kingdom, USA, Germany and in Italy. For several years he owned a cosy restaurant in Berlin. Gianni's dishes are prepared from carefully picked and very high quality products originating mainly from Italy and Germany. Local seasonal products have also high importance in the menu, especially in seasonal offers. In summer Costanino's day starts on the local market where he chooses the best ingredients from his favourite merchants. In autumn he can be found in Estonian forests picking the berries and mushrooms. In addition to a great passion for cooking Costatino can be viewed as a living encyclopedia of wine and about Italian wines he can speak endlessly. Costantino enjoys discovering wines from small and largely unknown wine houses, he often prefers these to the famous brands. This is also reflected in Gianni’s wine card, where many of the wines are not available anywhere else in Estonia.